So it’s been a since we had an update for Ashfall which stars Napoleon Stone and his mentor Nathan Ash so I reckon it was about time for one and it’s a biggie. I’m using this post to welcome Darren Brown to the team who will be handling the colours for the project to complement Peter Mason’s (Cancertown 2) art and Paul Mclaren’s lettering. 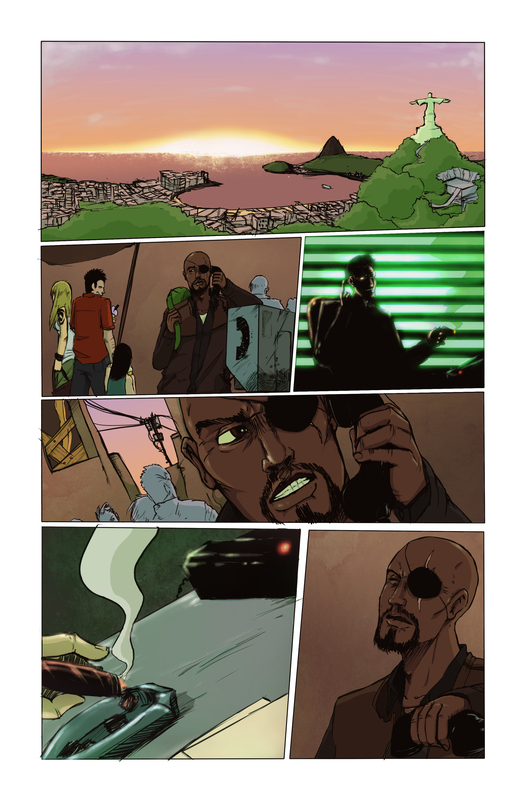 As part of his welcome to the Ashfall creative team Darren has provided us with a full colour page 1 for everyone to enjoy.